This is a rectangular Helmar Cigarettes porcelain sign. This particular Helmar Cigarettes sign is green with white print. 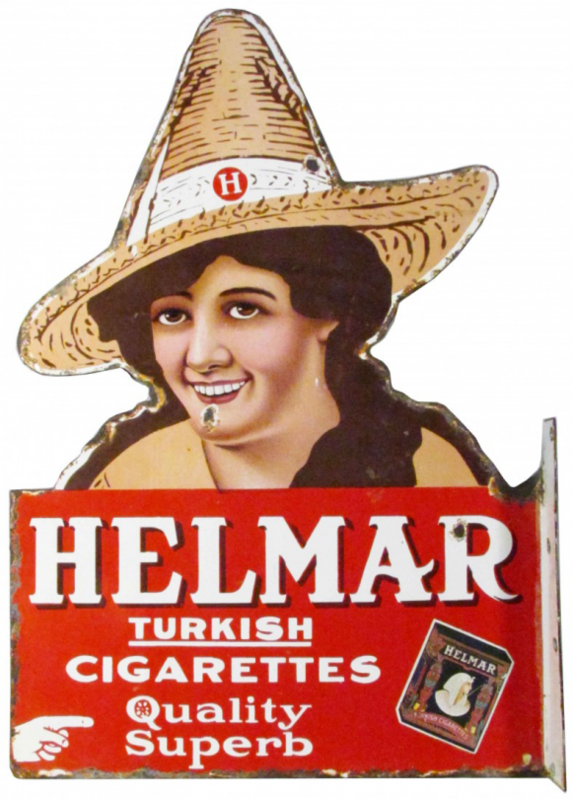 It reads, “Helmar Turkish Cigarettes, Quality Superb” and features a package of Helmar Cigarettes.